Our Lady of the Sacred Heart Catholic College graduate Johvan Miles cleaned up at the NT Board of Studies award ceremony in Alice Springs. 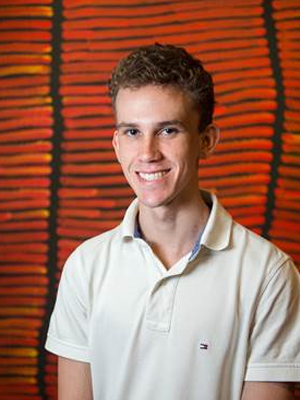 The Indigenous student won the Most Outstanding Stage 2 NTCET Distance Education Student of 2017 award, and the Charles Darwin University Top Aboriginal Australian Tertiary Admission Rank award. The tributes follow a year in which Johvan was also named the 2017 Top Aboriginal NTCET completer. The Red Centre resident said the awards were a welcome surprise after a year of studying hard. Johvan is taking a gap year to work and save money, and get back into athletics before heading to university. “I want to study engineering, or do a Bachelor of Science, or architecture,” he said. He had some sage advice for the current cohort of Year 12 students. “It’s one of the fastest years, and you don’t have much time other than to study if you want to get good marks,” he said.